It is always a good idea to attract the attention of store visitors to sales, discounts, and various promotions. Since there are several ways to do so, below, we shed light on one of the most efficient methods – product labels. Of course, you can create product labels manually, attaching them to existing product images somewhere in the editor and re-uploading back to Magento 2, but it’s not worth the effort. Instead, we recommend you to use special Magento 2 product labels extensions designed to create labels and attach them to product images automatically. Currently, the Magento 2 ecosystem offers two reliable solutions: Amasty Product Labels and Mirasvit Product Labels. 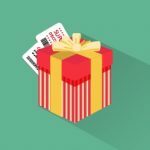 In the following post, we compare them to find out key differences between the two Magento 2 product labels extensions. Let’s start our Magento 2 product labels extensions comparison with a core backend page of every reliable product label tool – a grid where you can manage all labels. In case of Amasty, it is the grid that shows a label ID, name, status, as well as image and text. Note that label images and texts are divided into two categories: for product and category pages. 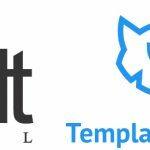 The Amasty Product Labels Magento 2 extension shows flexibility right from the start, but let’s see what its closest competitor offers. 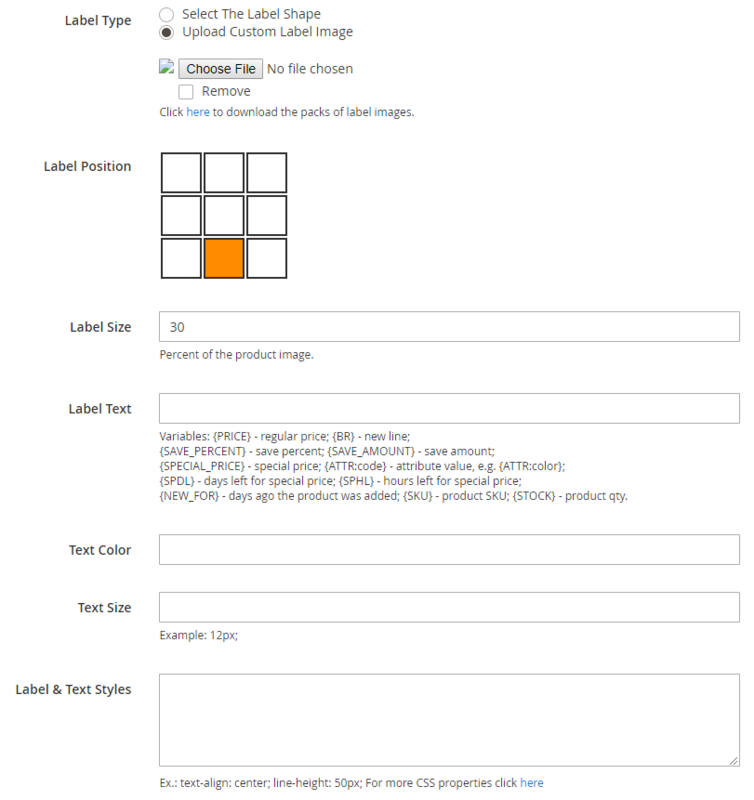 The Mirasvit Magento 2 Product Labels module shows a label ID, title, placeholder, type, and status via its core grid. As you can see, a slightly different approach to label management is implemented. First of all, labels in the grid are not divided into two groups. In some cases, it is even better, since the grid looks less complicated, but we think that extra flexibility is a better option. The lack of categorization is fully compensated with two new parameters: Placeholder (you can see the label position right on the grid) and Type (each label can be added to a product image based on product attributes or more precise rules). It is yet impossible to tell which Magento 2 product labels extension is better, but you know how different they are at a glance. Let’s discover more dissimilarities. While adding a new product label with the Amasty Magento 2 product labels module, you have to deal with 4 tabs of settings: General, Product, Category, and Conditions. The first tab allows you to add a label name, choose status, and specify the priority to avoid conflicts with other labels. Note that you can activate the option that will hide all labels with lower priority. 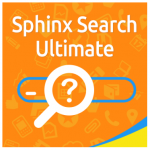 Besides, it is possible to enable/disable the usage of badges for parent products. 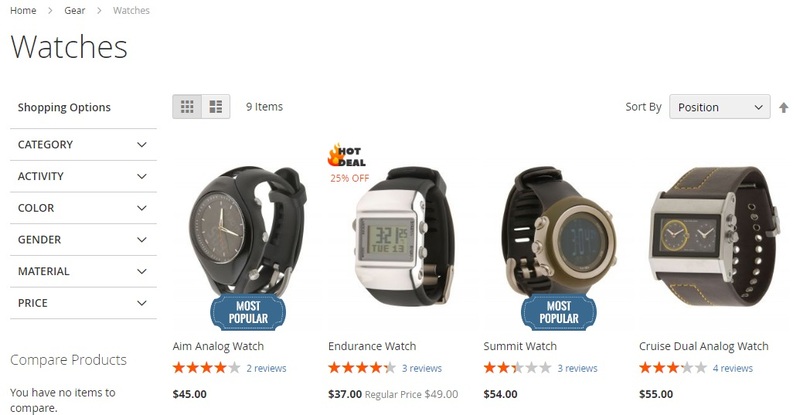 The last option allows you to specify a store view for the new product label. Next, you customize the label for a product page. There are 10 predefined label shapes with fully customizable colors available with this Magento 2 product labels extension. Alternatively, you can upload your own custom image. 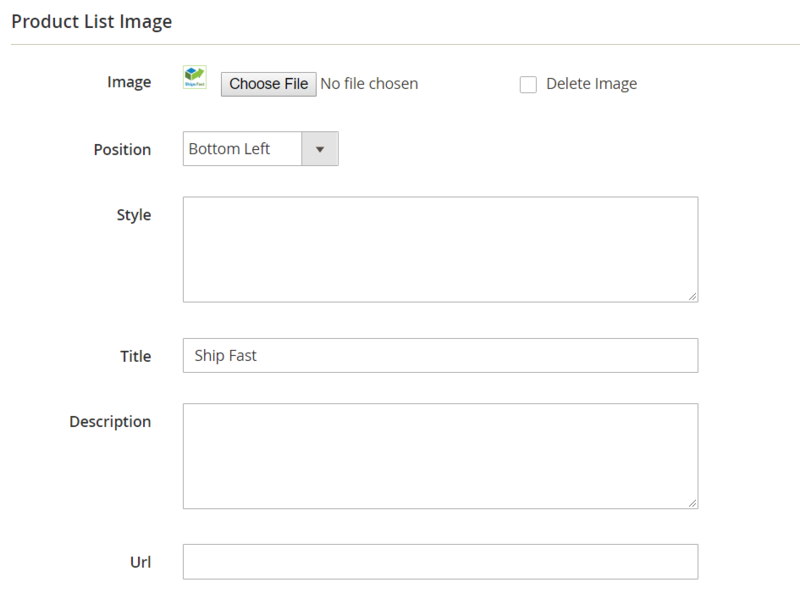 Next, choose label position (9 positions are available) and specify its size (percent of a product image). Add label text and note that you can use variables here. Besides, you can customize such text parameters as color and size. If these options are not enough, the Amasty Product Labels Magento 2 module allows you to use CSS for more precise customizations. Moreover, there is a preview section below the block with tabs! The same options are available for category pages, so you can create an absolutely unique appearance for your catalog as well. 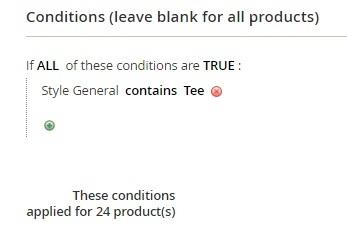 Besides, there is a huge list of conditions offered by the Magento 2 product labels plugin. First of all, it is possible to create rules to apply the label automatically. Next, you can add a date range and activate state conditions: Is New and Is on Sale. Also, it is possible to apply stock and price ranges, as well as select customer groups. As a result, you can fully control the display of all your product labels. So, how are things done under the hood of Mirasvit Magento 2 Product Labels? 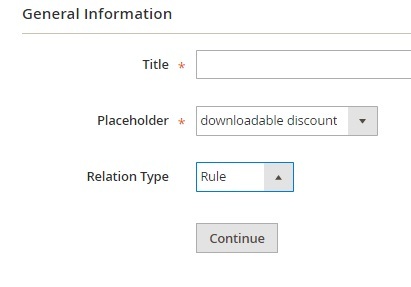 While adding a new badge with this Magento 2 product labels extension, you should create its title, as well as select a placeholder and a relation type. Depending on the specified parameters, the further customization can vary. Let’s explore the Rule relation type. The newly created label can be fine-tuned via 3 tabs: General Information, Conditions, and Design. Under the first one, the Magento 2 product labels extension allows you to change title and placeholder. 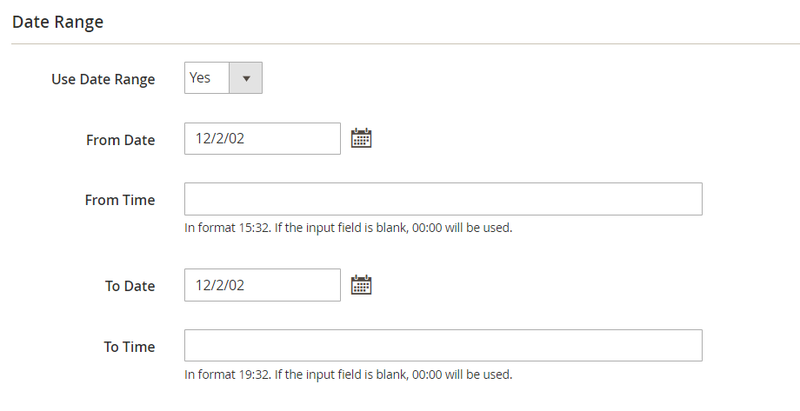 Next, it is possible to activate/deactivate the label, as well as select a period to display it. 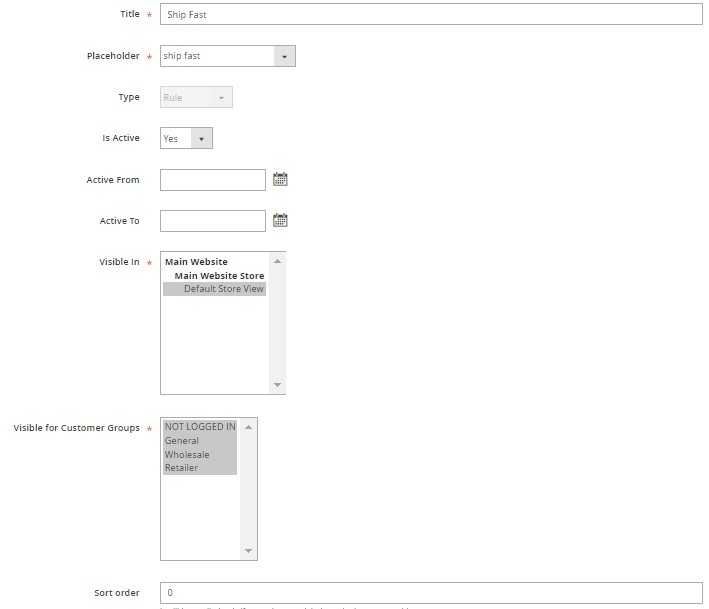 Then, choose a store view and customer groups and specify a sort order. 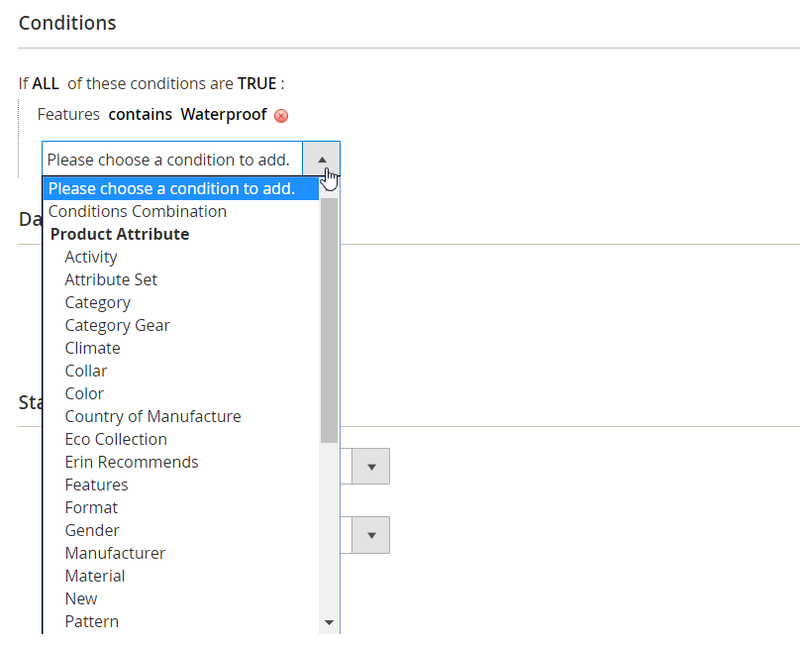 The Conditions tab of the Magento 2 product labels module lets you create flexible rules, but it doesn’t offer as many parameters as Amasty provides. Note that some of the missing settings are available under the previous tab. 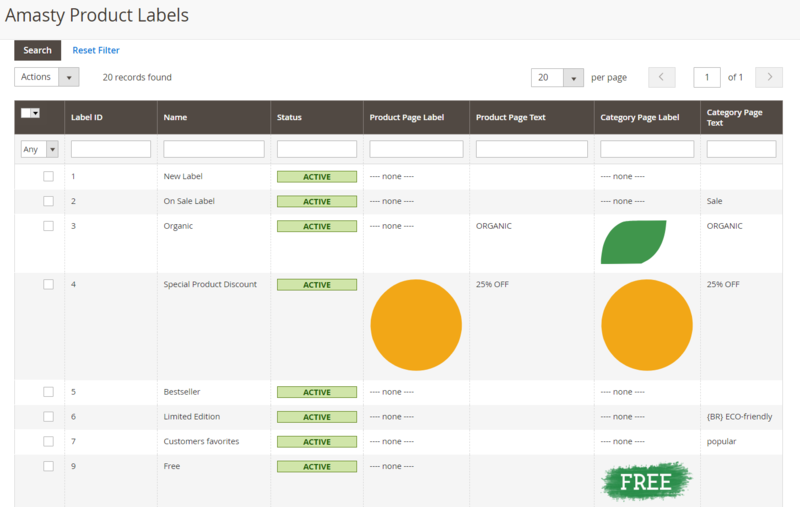 The Design tab is divided into two sections – this is where you find out that Mirasvit’s Magento 2 product labels extension also allows you to create different labels for product and category pages. Each section provides the ability to upload an image, select its position, specify CSS styles, as well as add a title, description, and URL. The backend interface of the Amasty Magento 2 product badge module seems to be more user-friendly. It offers fewer label variations and types, but at the same time provides better flexibility for the existing label. Besides, you get more robust design options and intuitive configuration. 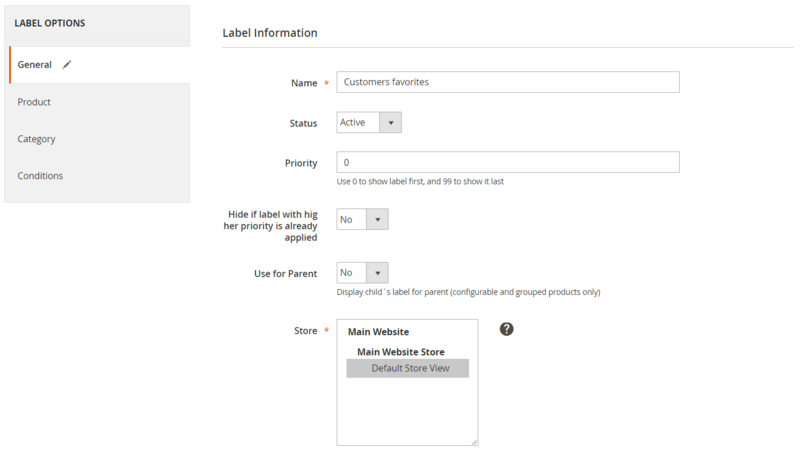 Let’s take a look at the frontend appearance of the Magento 2 product label tools. You can purchase the Amasty Product Labels Magento 2 extension for $149. As for Mirasvit Product Labels for Magento 2, this tool costs just $99. Both Amasty and Mirasvit provide the ability to fully leverage product labels with Magento 2. Amasty Product Labels costs more, but it offers more precise conditions for frontend display and a better backend interface and looks more spectacular on frontend pages. So, the difference in 50 bucks is entirely reasonable. However, if you don’t want to spend extra money on product labels, Mirasvit’s Magento 2 product labels extension will also be quite useful.